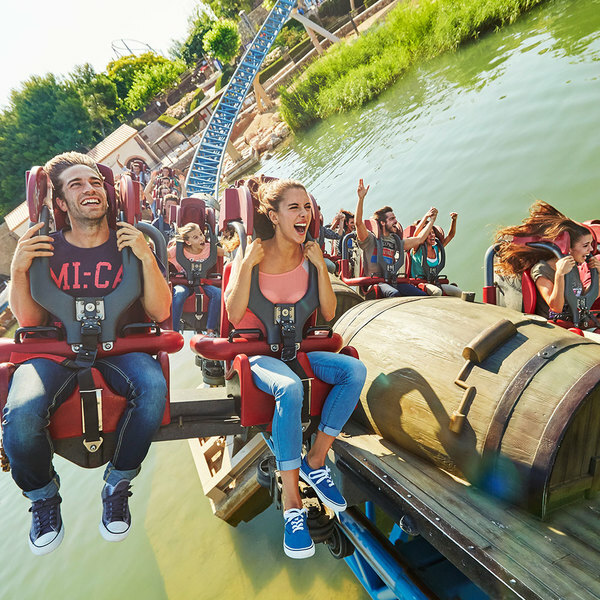 Join the ceremonial ritual and spin around this sacred totem pole on the back of the Serpiente Emplumada and experience all the ups and downs of this powerful ride in PortAventura's México area. 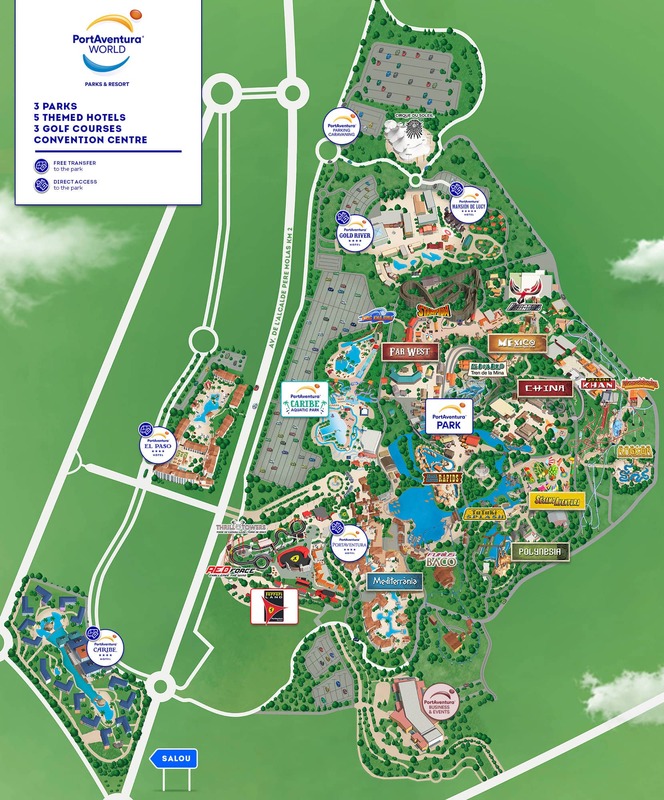 The stunning vegetation of México PortAventura is made up of towering green plants. Next to the Mayan ruins, in the middle of the thick foliage, a worship ritual is about to take place to honour Serpiente Emplumada of PortAventura World. The most famous serpent of the theme park has its very own attraction in México which represents a ritual where the serpent demonstrates its full power. The sacred totem pole covered in limbs will gain strength as the serpent begins to rotate, getting faster and faster with every spin. The totem pole's arms will dip you close to the ground and then pull you up again as it spins you round and round at top speed. 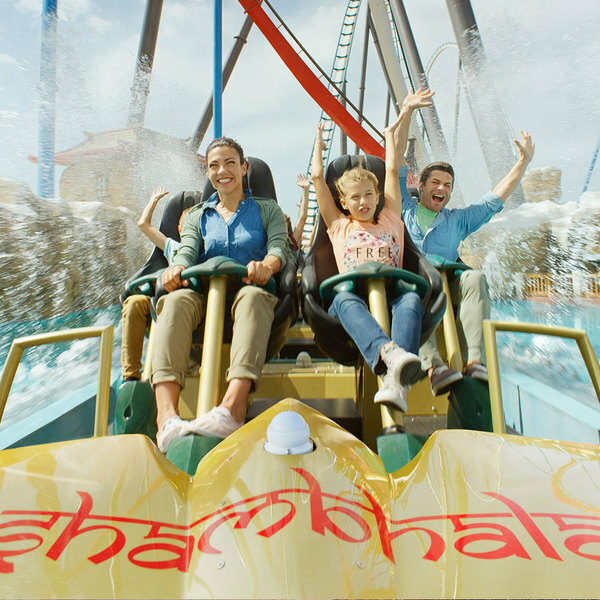 You will form part of a unique ritual, exclusive to this powerful attraction of PortAventura México. Discover PortAventura's incredible horizontal catapult that flings you at 135 km/h in just 3 seconds. Measuring 76 metres tall, this roller coaster boasts the longest drop and is the highest in Europe. 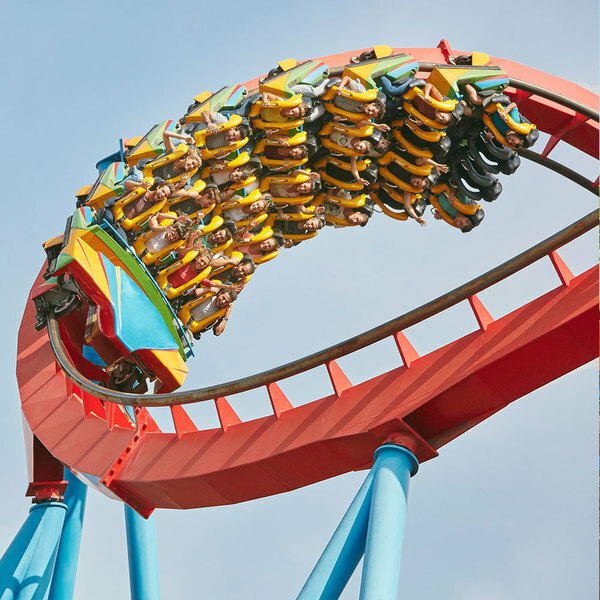 An icon for all roller coasters: 8 loops and more than 110 km/h of speed will make Dragon Khan a sure temptation as soon as you lay eyes on it.